If you drive approx 1 hour north from Kuta, you may find the district of Bangli if you know where your going, if you ask people that know the area they will tell you it’s like Ubud 20 years ago – and if you look at our video and photo’s above you will agree – It is quite simply stunning and untouched, locals still carry out their daily traditions that date back well before the Portuguese and Dutch discovered Indonesia. 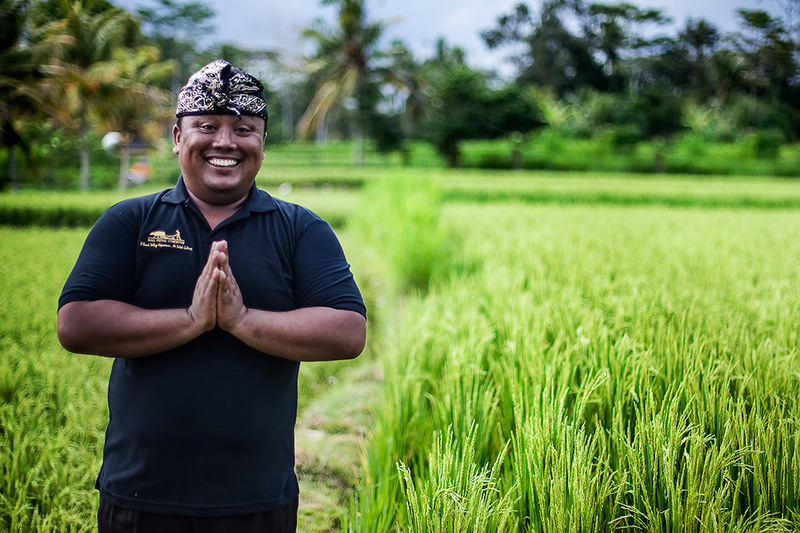 We have set up this tour in collaboration with local government, Balinese heritage council, local farmers and villages of Susut, and Bali Rural Commune. 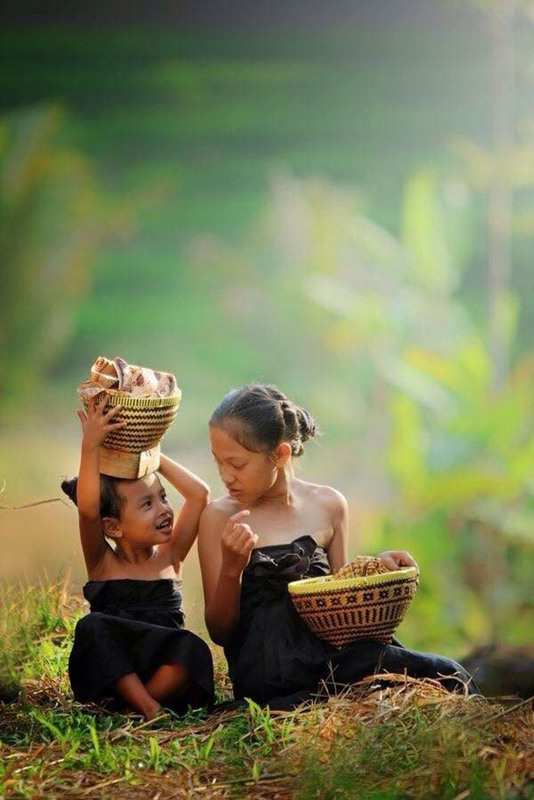 Proceeds from this tour go back into the local community to preserve the rich culture and traditions of the region. Quite simply you will not find a tour or a place like this, it is the kind of thing you imagine seeing on Nat Geo Channel. 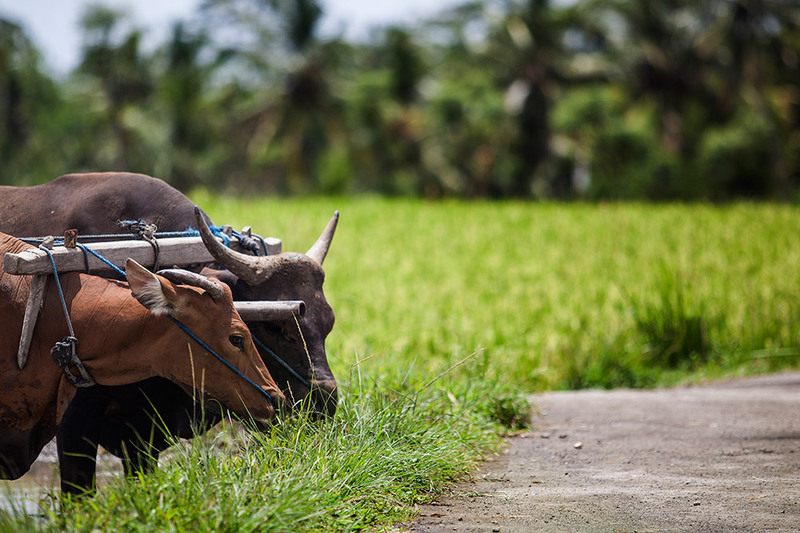 A Day in the life – A day with Balinese: – see video above. 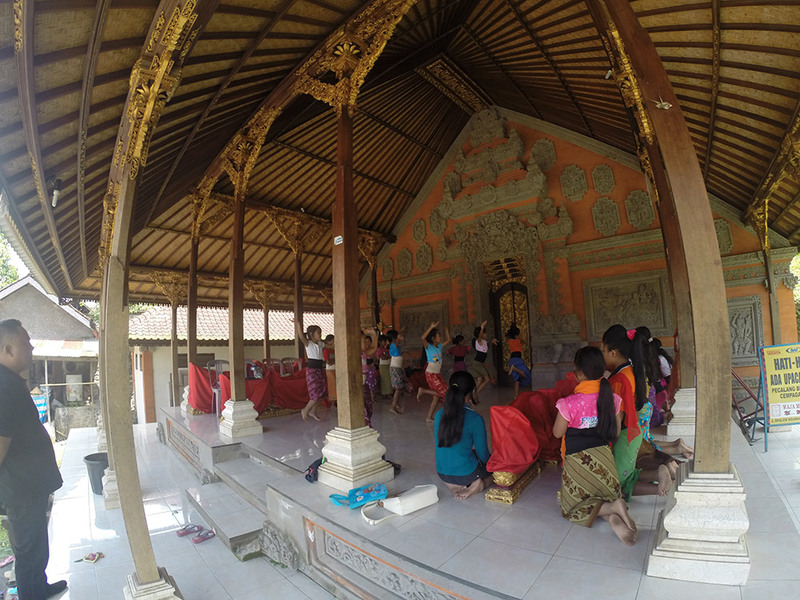 Warm greetings and welcome with charming smile of the local people in front of the main gate before entering the Balinese house compound, we invite you to look around the traditional house. A cup of coffee or tea with special local’s Balinese cakes is served as refreshment in calm and quiet atmosphere in this authentic village, The process to make coconut oil will be shown after looking around the compound as watching the local’s activities such as: Mat weaving made of pandanus tectorius leaves, flowers and fruits arrangement cannot be scope rated from the way of life that have been inherited from generation to generation for centuries. We visit the village Blacksmith to watch as they make farming tool the same way they made them 500 years ago. Proceed to visit the elementary school and interaction to the kids is the following program – see their smiles and delight as you help them with their English skills – great photo opportunities. 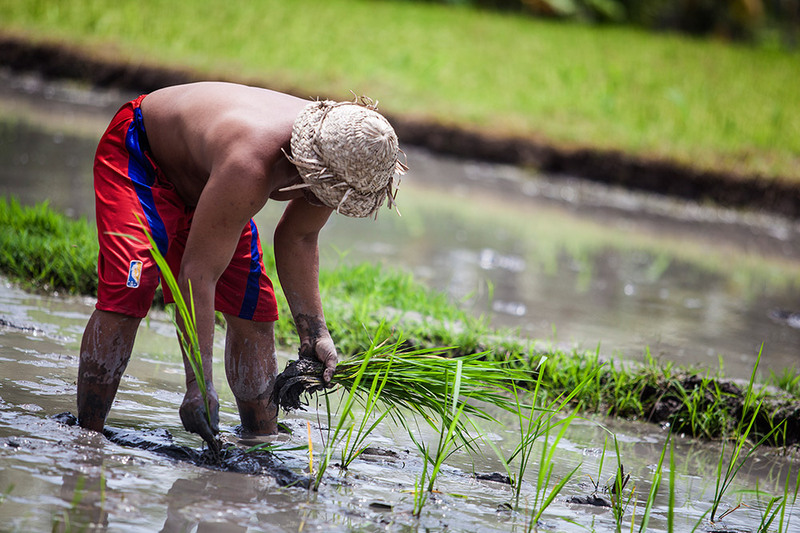 We hope if you game to practice your climbing skills to climb the coconut tree to get the coconut fruits for our beverage after involving our self in rice farm cultivation by using traditional tools to plant the rice is amazing experience in your life. 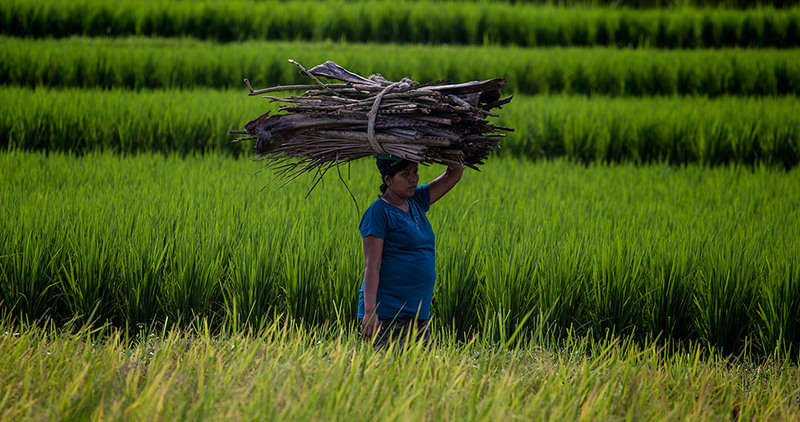 You will see farming in its most traditional sense, farm animals and hard work, you will not see a tractor or anything mechanical, it’s like stepping back in time. 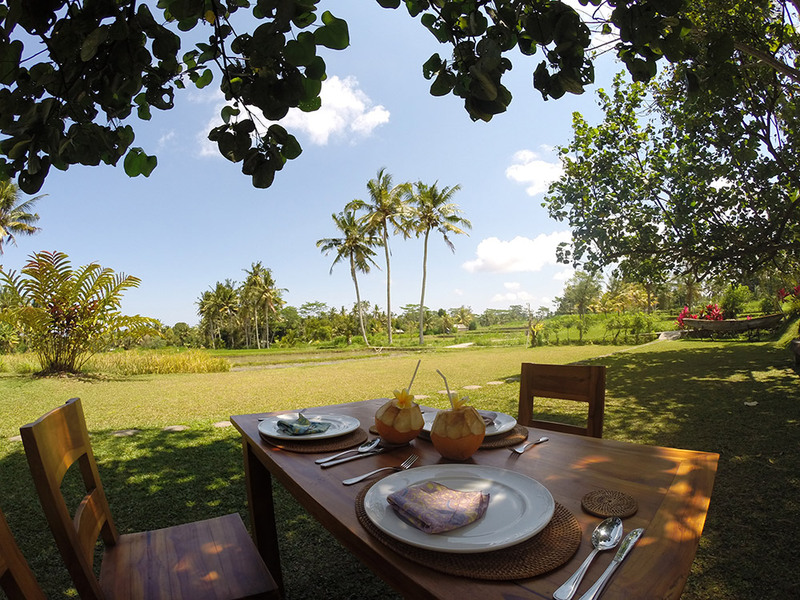 Bale Bengong (gazebo) is the place where we can enjoy our amazing lunch freshly prepare using local produce by our master chef and cooking class chef. 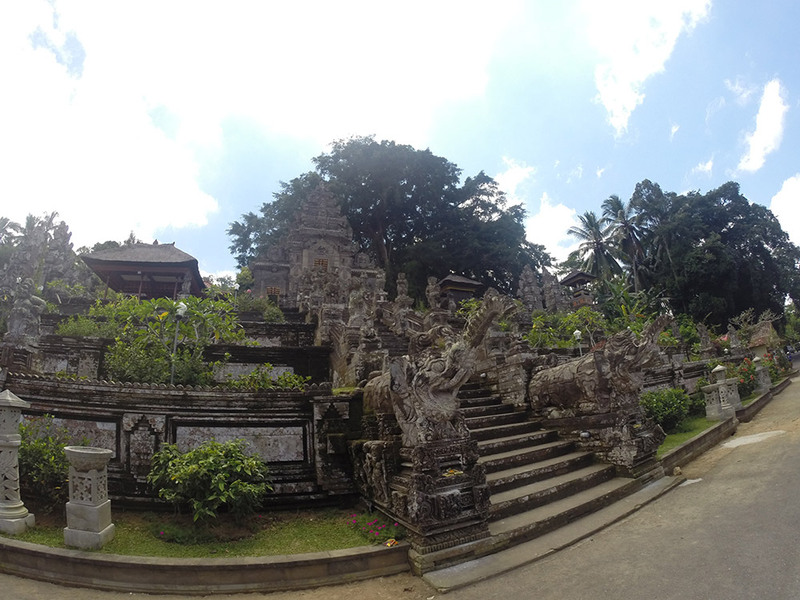 After lunch, relax, maybe even a bintang or 2 while you take in your amazing surroundings before the program is ended. $125 USD – Price is Per Person, Minimum of 2 Persons – 4 hour onsite program. 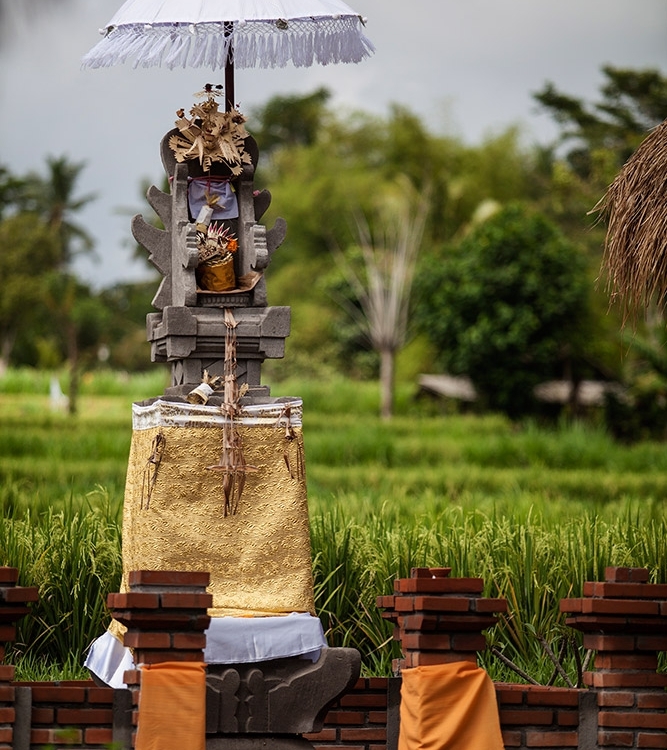 The price includes: Return transfers to your hotel by Air conditioned vehicle based on sharing Local English speaking guide Breakfast/afternoon tea in a Balinese Housing compound, Balinese offering and priest, and a set lunch or dinner. Combine these tours with any of our other tours and save $$$, group discounts available for groups larger than 6. 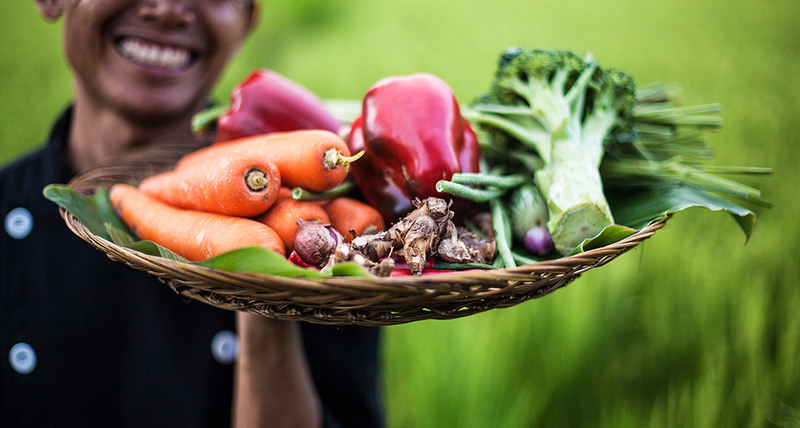 At our Bangli site we also have Cycling & Trekking and Balinese Cooking Experience. Check out our ATV’s on the Beach and Combo Deals page. 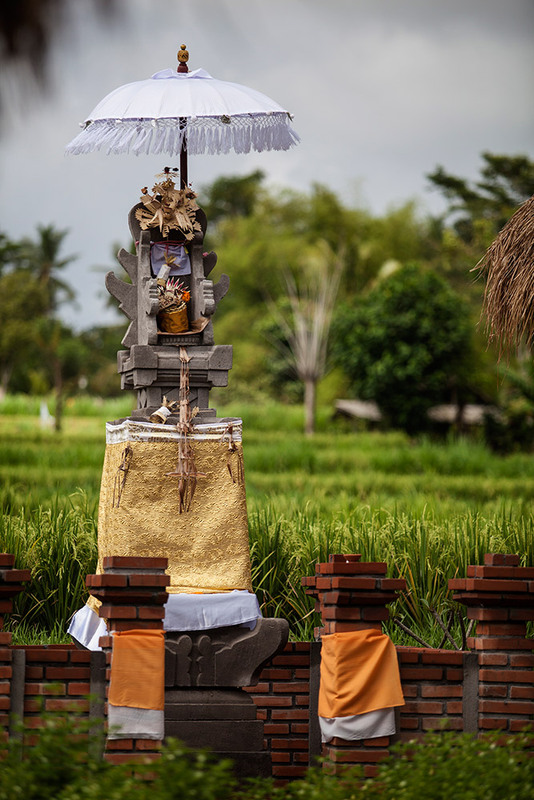 Balinese Purification Blessing: Bali is often referred to as the island of “holy water” because of the countless number of sacred springs on Bali and because holy water is the key element in their purification ceremonies. Water represents flow of energy (also known as prana or chi), connected to emotion and intuition. 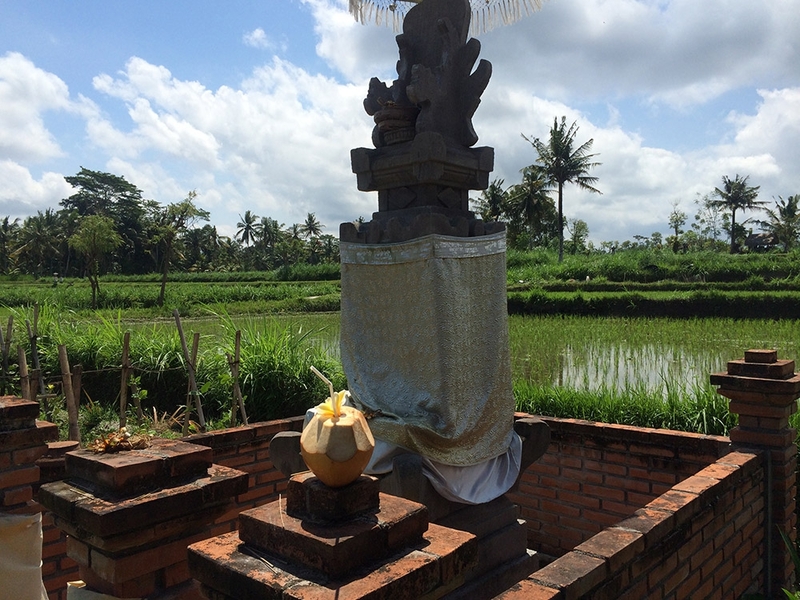 Balinese participate in water blessings regularly called, Melukat, and believe that these rituals assist in cleansing our bodies on the physical, emotional and spiritual levels. Sitting in meditation in one of our Sacred Spaces, a temple priest prepares the holy water in a vase with flowers and incense while chanting mantras in ancient Sanskrit. 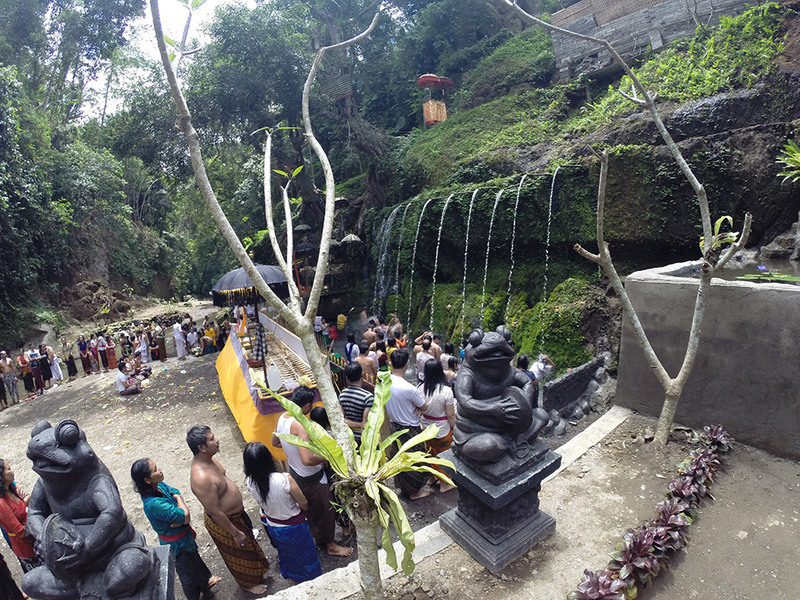 Following the mantras, you are invited to receive a holy water cleansing as this blessed water is poured gradually over your head and body giving a full sensation of having a ‘holy shower’. *Guests are required to wear a sarong and sash provided by us and Bali Rural Life Program is 30 Minutes Welcoming Refreshment in a traditional Balinese housing compound, 30 Minutes Bali House Activities, Offering Making for Female and Weaving Coconut Leaves for Male 60 Minutes Purification Bath at ‘Pancuran 11’ or Eleven Holy Waterfalls, 30 Minutes ‘Natab Bale’ – Blessing in a Religious Pavilion by the Priest, asking the permission of the ancestor 30 Minutes ‘Natab’ – Blessing by the Priest in the home yard 60 Minutes Set Lunch or Dinner then relax and feel the spirit in you that concludes the tour. 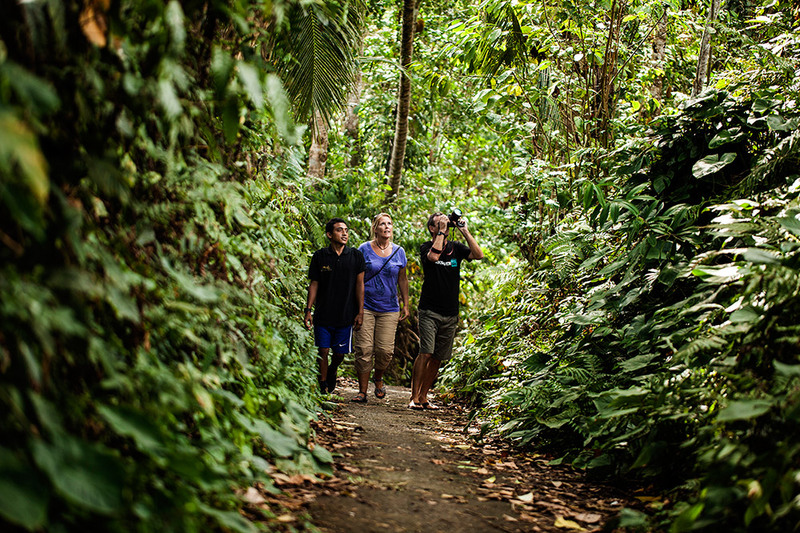 $145 USD – Price is Per Person, Minimum of 2 Persons – 4 hour onsite program. Combine these tours with any of our other tours and save $$$, group discounts available for groups larger than 6. 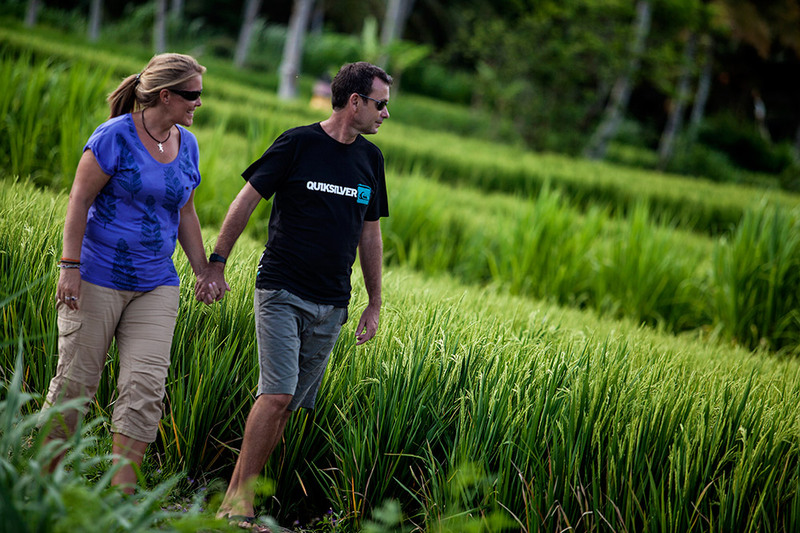 At our Bangli site we also have Cycling & Trekking and Balinese Cooking Experience . 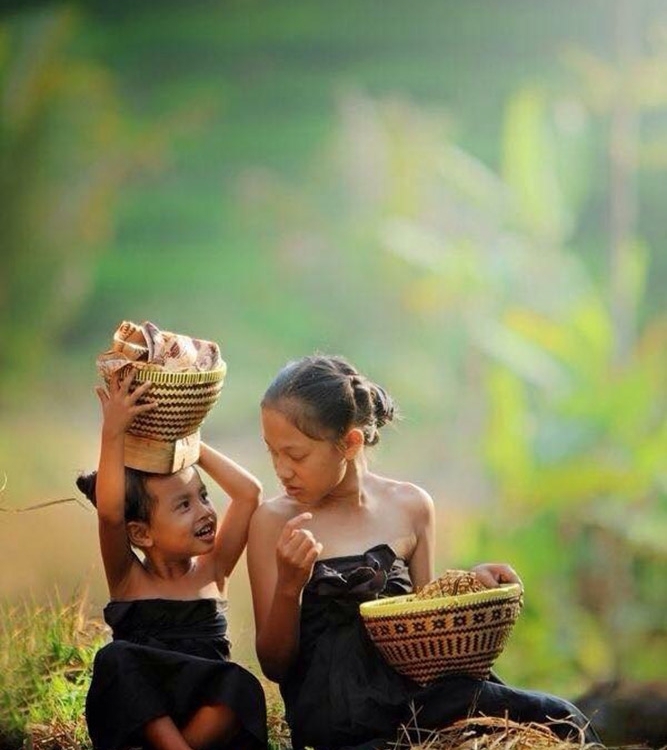 We also have amazing home stay option as part of our add on options for this tour, spend a few days here stay overnight in a traditional Balinese village with our partner Balinese Family – Live the life for more than just a day, you won’t regret it. Details and price upon request.